The Historical Society of Pennsylvania, located at 1300 Locust in Center City, Philadelphia is pictured on Tuesday, April 09, 2019. 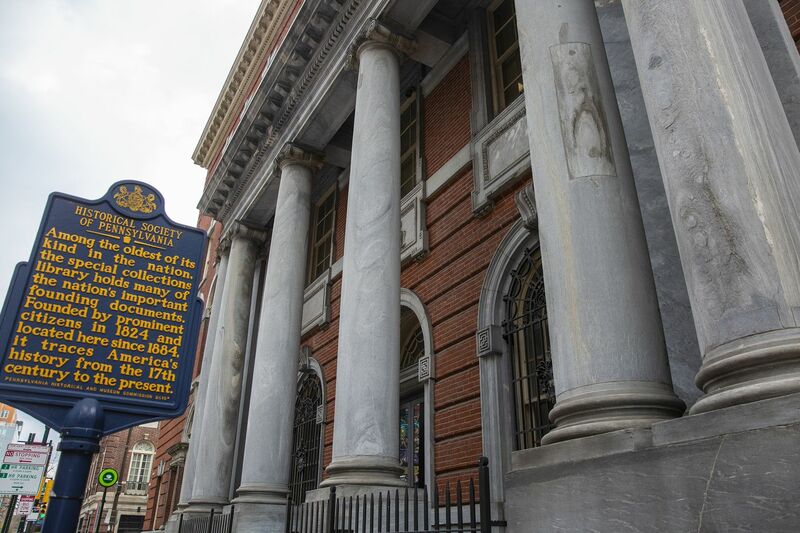 The Historical Society of Pennsylvania announced last week that it would lay off 10 staff members due to operating deficits and a lack of financial stability. In February, the Philadelphia History Museum announced its closure. And last week, we learned the Historical Society of Pennsylvania has laid off 30 percent of its staff as it searches for a viable strategic alliance. Philadelphia is the birthplace of our nation’s history, yet sadly we cannot sustain two vital cultural and academic centers to celebrate that rich legacy. If these long-standing local institutions cannot survive with strength, what does that bode for the rest of the region’s nonprofits? The answer is not a positive one. A recent report shows that 7 percent of the five-county region’s nonprofits are technically insolvent (including a whopping 13 percent of health and human services agencies) — and 25 percent of our nonprofits have less than one month of cash on hand. To get in front of this potential tidal wave, the Greater Philadelphia Nonprofit Repositioning Fund was established in 2015 by a group of funders (now numbering 10) to support thoughtful exploration and implementation of strategic alliances among nonprofit organizations. These alliances represent a permanent change in the business models of two or more nonprofits seeking to enhance sustainable community impact. Each project we’ve supported represents a courageous willingness among boards and executive leaders to look beyond their individual organizational boundaries to place enduring achievement of mission above all else. A 2017 cultural community grant from the Repositioning Fund supported the merger of the University of the Arts with the Philadelphia Art Alliance that allowed the survival of a storied local institution — and building — of historical significance. These alliances are not for everyone, and they are not always the right answer, but this is an important option to consider from a position of strength, i.e., before an organization loses the capacity to make wise choices. Funders, board members, and executive leaders must come together with eyes wide open to the realities that confront nonprofits, exploring a range of alternatives including fiscal sponsorships, strategic alliances, and yes, even planned dissolutions. Philadelphia is by no means alone in addressing the need for a rethink for its nonprofit sector’s financial health. The Urban Institute reports that there are more than 1.5 million nonprofits in the United States, the vast majority of which (more than 77 percent), have operating budgets of less than $1 million. While the number of public charities grew 28.4 percent between 2005 and 2015, philanthropy has only grown 11.5 percent since 2007. These statistics warn of a contraction in the nonprofit sector that will likely yield some failures in the form of bankruptcies and “zombie nonprofits” that are alive in name only. Business as usual will not suffice for many organizations. However, well-governed nonprofits with strong leadership can harness the potential of thoughtful strategic alliances — shared service platforms, mergers and acquisitions, etc. — to fundamentally change their business models in ways that sustain and grow their community impact. Long-term or permanent strategic alliances are essential components of nonprofit capacity building. Over the last decade, a nascent network of pooled funding initiatives in seven cities or communities has emerged (including Philadelphia’s Nonprofit Repositioning Fund) to support hundreds of these types of strategic alliances, and a number of additional communities are considering launching similar efforts. Experience has demonstrated that among the greatest determinants of success for strategic alliances are time for nonprofits to plan and the availability of dedicated resources in the form of funding and access to outside expertise. While these initiatives have arisen organically, there is growing hunger from nonprofit leaders, boards and funders for more centralized knowledge about proven approaches and a desire to bring more resources — both human and financial — into this field, driven largely by the changing landscape of the nonprofit sector. While Greater Philadelphia continues to experience impressive growth in its business sector, the sustainability of vital services and community assets is threatened by the weakened financial health of nonprofits. We welcome creative recommendations from all sectors so we can advance this critical dialogue together. We must act now to identify and support innovative solutions to address the increasingly hard truths facing our nonprofits — it is in our absolute collective interest to do so.